Claddagh earrings are crafted in sterling silver that is enhanced with an open drop style along with green glass stones. 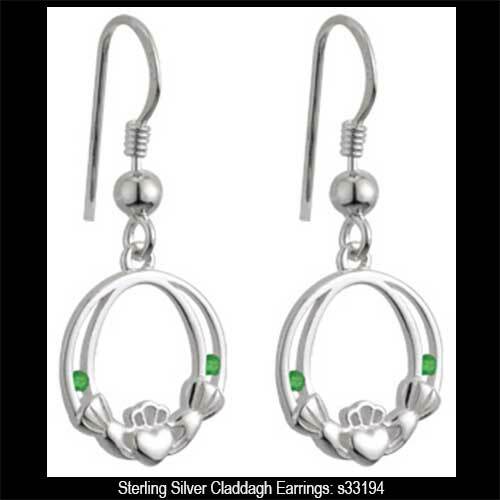 These sterling silver Claddagh earrings feature green glass stone accenting. The Claddagh earrings are a drop style on fishhooks that measure 1/2" wide x 1 1/8" tall, to the top of the wire.